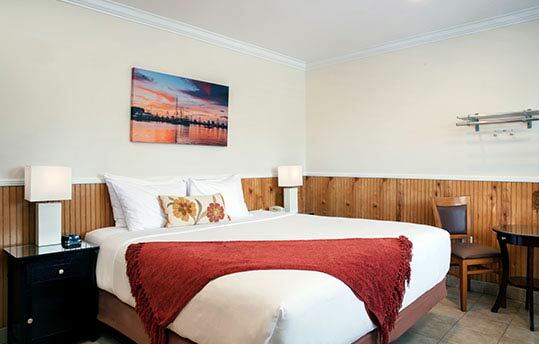 After a fun-filled day enjoying all that Key West has to offer, relax and unwind in clean and modern guestrooms fitted with all the comforts of home. 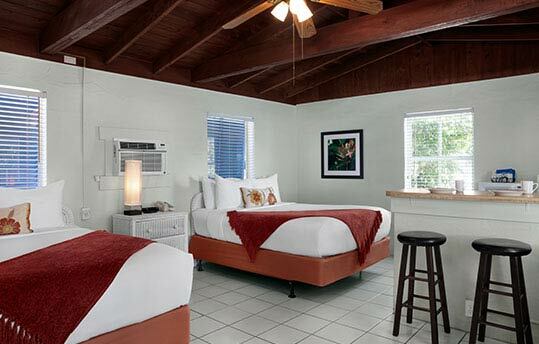 Located in the heart of Key West's Old Town, Southwinds Motel offers everything needed for restful stays near Duval Street. 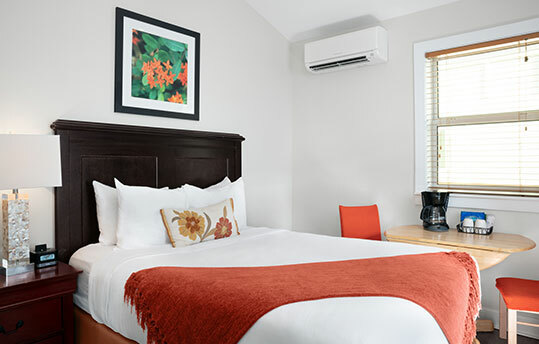 Whether you are in town for a weekend getaway or an extended vacation, our Key West hotel rooms offer thoughtful amenities for seamless stays near all of the local attractions. 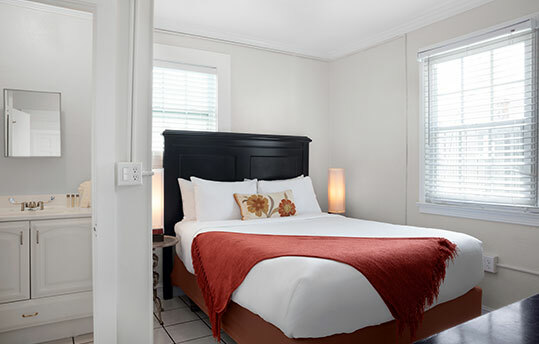 Sleep well in our plush Eurotop mattresses, and you'll love that all rooms come with free Wi-Fi, 32" flat screen TVs, microwaves, and refrigerators. Whether traveling solo or as a pair, sleep well in a Eurotop queen bed and enjoy complimentary Wi-Fi, microwave, refrigerator, and cable TV. Perfect for small families or extra guests, unwind in a Eurotop queen bed with a pull-out sleeper sofa and flat-screen TV in living area. With two Eurotop queen beds, our largest room is family-friendly complete with complimentary Wi-Fi, microwave, refrigerator, and cable TV. Unwind in one Eurotop king bed and enjoy thoughtful amenities including complimentary Wi-Fi, microwave, refrigerator, and a flat-screen TV.